– What is the difference between living and existing? – Is crying a sign of strength or weakness? Perhaps the greatest wrinkle in the discussion of values and prices of M.U.S.C.L.E. figures is the personalization that takes place. Many collectors can only discuss through their individual lens. A difference of opinion or questioning of perspective is treated like an affront to their values and their identity. It is possible that the personalization of the topics takes place because it needs to. A collector can justify to themself the price that was paid. It allows their actions to be beyond reproach. Of course, that notion seems to better correlate with the idea of price. What about the actual value of a M.U.S.C.L.E. figure? Collectors are able to use actual sales and auctions to justify prices, but what about the value? What is the worth or importance of a M.U.S.C.L.E. figure? Objectively, the value of all M.U.S.C.L.E. figures is minimal. 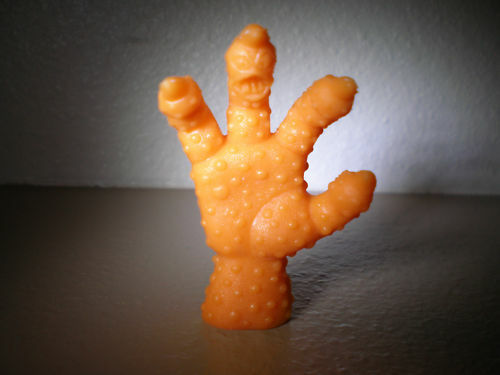 The figures are only a few ounces of plastic, designed as a plaything. The only value, worth, and/or importance that can be attributed to these figures is from collectors. However, there is not consensus. There is rarely even basic agreement. 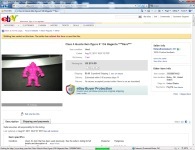 And three different auctions this week highlight just how illogical the prices and values of M.U.S.C.L.E. have become. The first auction, Class A Muscle Men figure # 136 Magenta ***Rare***, features a Class A Magenta #136. This figure has been listed at least twice since late July. Each time the opening bid and Buy-It-Now price have been reduced. Now the figure’s opening bid is $19 with a $24 Buy-It-Now price. So why has this figure not sold? Many collectors like to point out the competitive nature of bidding. That if they don’t pay the high price, than someone else will pay the price. 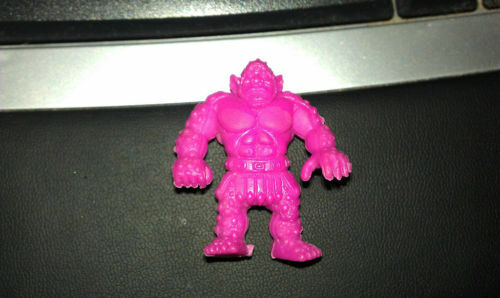 Then these same collectors will argue that these prices help to illustrate the value of the “rare” M.U.S.C.L.E. figures. But what if there aren’t two buyers? What if there isn’t one buyer? Does this also set the value of “rare” figures? The popularity of a figure is another common justification for the price of a figure. Because so many collectors desire a specific character it creates a shortage of buying opportunities. This argument has been used heavily for, at least, two years with the #153 figure. 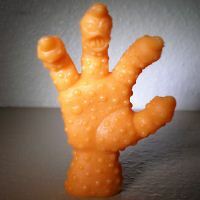 This second auction, MUSCLE Orange Claw!! !, is a perfect example of the impact “popularity” thinking has on the price of figures. This figure is a Class C figure. It has never been consider “rare.” There is not, and never has been, any indication that this figure is difficult to purchase. The opening bid for this figure is $24.99. The opening bid for this Class C figure is $0.99 higher than the Buy-It-Now price of a Class A figure. Admittedly the #136 figure is not as popular as the #153 figure. However, this similarity in pricing seems to run counter to nearly any proponent of exorbitant M.U.S.C.L.E. prices. It would suggest popularity, not rarity, would play the largest role in M.U.S.C.L.E. prices. However, it doesn’t. The third auction, Lot of 22 M.U.S.C.L.E. Men Toys Kinnikuman Figures, features two Class A figure plus a Class B figure. The Class B figure is a #11 Magenta. The two Class A figures are a #50 Green and a #116 Salmon. Based on previous auctions it seems safe to assume that the Class B figure won’t heavily weigh into the auction. The same could be said for the other Flesh and Color figures. This auction is being driven by the two Class A figures. The current price of this auction is $81.00, which could be considered approximately $40 for each Class A figure. Given that the auction still has several days, and is already at $81, it seems likely that the price will increase before the end of the auction. Why? Is the popularity of #50 and #116 so much greater than #136? The Class A #136 has been unable to sell for under $40, yet the Class A #50 and #116 seem to be easily commanding this price. Why? It would seem that the price and value of Class A figures are not at all aligned. This misalignment not only impacts the prices of Class A figures, but all figures – as evidenced by the $25 Class C #153. The days of all figures costing $0.50 to $1.00 are forever gone. However, if the price and value of M.U.S.C.L.E. figures aren’t discussed more often and more rationally, then collectors may choke off their supply of figures. 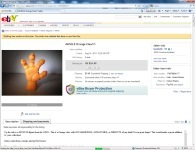 Sellers may become unwilling to part with “valuable” figures. And if two buyers aren’t pitted against each other, then “valuable” figures just sit unsold – which discourages sellers from listing figures. Follow-Up: Because of the editorial format of Auction Watch #76 final price predictions were not made. However, final auction screen captures were taken for future reference purposes. The final price can be found on the last line of each picture caption. This entry was posted on Wednesday, August 10th, 2011 and is filed under Auction Watch, Economics, UofM News. You can follow any responses to this entry through RSS 2.0. You can skip to the end and leave a response. Pinging is currently not allowed. But you’ve got to remember why the Figure Guide was created. There was nothing put manipulation and misuse of information taking place regarding color figures. I wanted to create a guide that used data and experienced collector input. It wasn’t just one or the other. So in using the data, it suggested that some figures could go either way – Class A or Class C. I wanted to be as objective as possible so creating a Class B allowed for better objectivity. Personally, I don’t think there is a Class B – but my goal for UofM was never to be “Chad’s Soapbox.” The goal was to organize MUSCLE information in the most balanced, straightforward manner. That’s why Class B exists. As for the article “posing more questions” – you’re completely right. I actually take it as a complement. I don’t have all the answers. I think those three auction illustrate how broken MUSCLE prices have become and how MUSCLE values are totally ignored. 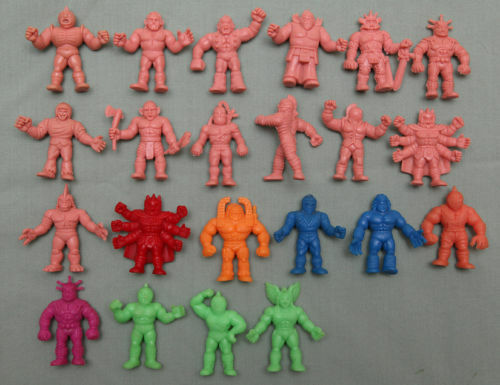 Auction Watch Update - Interesting M.U.S.C.L.E. 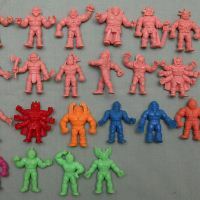 Auctions | University of M.U.S.C.L.E. 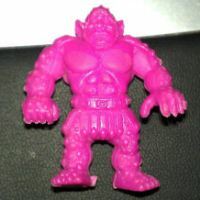 What Was the Most Important M.U.S.C.L.E. Event of 2011? | University of M.U.S.C.L.E.